Portugal’s Manuel “Sheparentao” Ruivo, living in the Netherlands, is the 2018 partypoker MILLIONS Online champion, an accolade that came with a massive $2,329,943 first-place prize following a heads-up deal with Pim “ForMatherRussia” de Goede. Twenty-nine players returned to the partypoker tables on December 5th, each guaranteed $65,505 for their effort. With $2,729,376 awaiting the champion, nobody wanted to collect this smaller sum. The waters were a little less infested with sharks when two Goliaths clashed on Table 18. Christopher “Ad_Finem” Kruk moved all-in for 237 million chips on a board and Chance “ChanceSeeYou” Kornuth called off his 138 million stack. 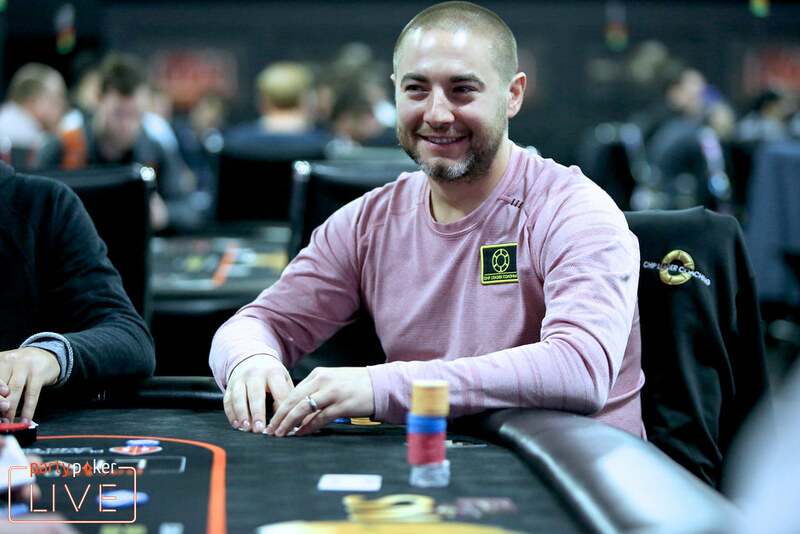 Kornuth showed for top pair, Kruk revealed and sent Kornuth to the rail in 22nd place. Kruk would go on to bust in 11th place for $163,762 when his couldn’t get there against the pocket fours of “COL_Moutarde” who flopped a set for good measure. Once the eight-handed final table was set, De Goede held a massive 1,588,165,265 chips – yes, 1.5 billion – with COL_MOutarde being his nearest rival, in terms of chips, with a 626,714,202 stack. This put de Goede in a prime spot to bully his opponents and bully he did, moving all in regularly and putting his foes to the test for their entire stacks. Lithuania’s “orginALUS” was the first casualty of the final table. They called a shove from Pedro “Maddonaa” Marques with to find themselves up against the inferior . The Lithuanian only stayed ahead until the flop, although they did have an open-ended straight draw. That draw failed to come in as the turn and river fell and . De Goede then sent the start-of-day chip leader, “wheatforsheep” to the rail and accumulated half of the chips in play as a result. Wheatforsheep jammed all in for around 12 big blinds with from the small blind and de Goede snapped him off in the big blind with . A final board reading sealed wheatforsheep’s fate. Sixth-place and a cool $655,050 went to COL_Moutarde after a clash with de Goede. The action folded to COL_MOutarde on the button and he pushed all-in for 12 or so big blinds with and de Goede called with in the big blind, which improved to a straight on the turn. The last player not to be made into a millionaire in this event was “j2805667” who thought all of their Christmases had come at once when they found in the hole while nursing a stack of less than four big blinds. That handful of chips went into the middle and Manuel “Sheparentao” Ruivo called with . A queen on the turn proved enough to bust j2805667 in fifth-place, a finish worth $818,813. De Goede continued his one-man wrecking spree by sending Marques to the rail; his besting the of Marques. He then sent Slovenia’s “Scarmak3r” to the rail when his prevailed against the Slovenian’s . A fantastic result for Scarmak3r who qualified for MILLIONS Online for only $5.50 and turned that into a colossal $1,364,688. Scarmak3r’s elimination made the stacks of the final two players almost even and with a payjump of $818,813 it was no surprise the final pair decided to pause the tournament and discuss a deal. Those discussions bore fruit, leaving de Goede to walk away with $2,309,994 and crowning Ruivo the 2018 MILLIONS Online champion with a prize of $2,329,943. Without you, the players, MILLIONS Online would not have broken any records. Instead, your fantastic support created a record-breaking $21,835,000 prize pool, the biggest single poker tournament prize pool in online poker history!